What a wonderful start to the year! It has been so energising to walk around the campus and seeing the level of engagement in the classrooms across all Year levels. 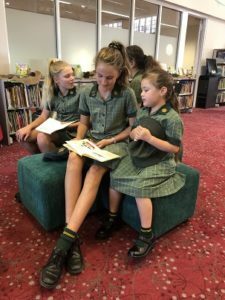 In the Junior School our students have been immersed in two units of inquiry, where the focus has been on stimulating the students to ask ‘burning’ or ‘big questions’ and then for them to be empowered to drive our inquiry. One of the focal points in this year is to promote student agency across all Year levels. The concept of agency is not new for teachers but we are moving towards greater emphasis on autonomy for our students, and in the long term developing their leadership skills. Our students have begun to develop ownership of their own learning and the action that comes from that learning, it is quite powerful to see in action and importantly supports the child’s ‘voice, choice and ownership’ (IBO November 201). Of particular note was my visit to Year 2 Green, where students were able to share with great confidence their understandings of the concept of hypothesis as they explained their Science experiment on the growth of plants to me. I can’t wait to see their journey in their inquiry. The students were able to provide evidence for their reasoning and suggested possible actions to even ‘ensure’ their hypothesis in some cases was fulfilled. Please do ask your child about their Units of Inquiry and do enjoy reading their Inquiry Books as they come home. In Year 3 Green students have been challenging each other with a burning question board, which promotes lateral thinking, stimulates their inquisitive minds and leads them to taking ownership of their learning journey. Remember we can never ask too many questions. Our 2018 Year 10 students were presented with their Personal Project statements at a Year level assembly. 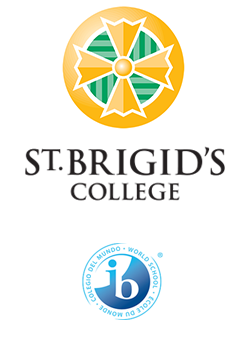 At the end of last year a sample of our students, which was determined by the International Baccalaureate Organisation (IBO) was submitted, and all projects were moderated against these samples to finalise assessment standards. Last year our samples headed to Thailand for this process to be completed. 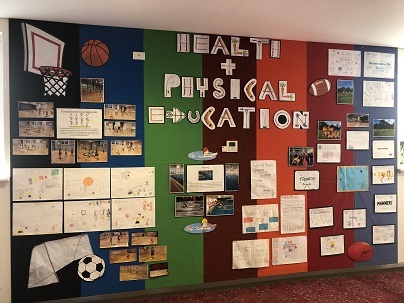 We are very proud of all student achievements in the project and they all gained recognition through the School Standards and Curriculum Authority as an Endorsed Unit for 2021 WACE attainment. Well done on your successful completion of your MYP journey. As we congratulated one MYP cohort another has submitted their Projects for 2019. Students (and in many case families too) in Year 10 are equally to be congratulated on their submission which we are looking forward to the initial moderation at the start of term and most excitingly the Exhibition, which opens on the 6th May, from 5 – 6.30 pm in the bIBliotech. The Exhibition is open to the community from the 7th May, from 8.30am – 4.00pm. 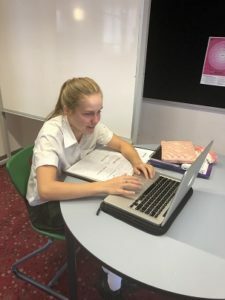 Selected students in Years 10 – 12 participated in the first round of OLNA for 2019 (Online Literacy and Numeracy Assessment) in order to meet literacy and numeracy benchmarks to contribute towards WACE. We await this first round of results, with the next assessment period being in September. Our Year 11 and 12 students have been working hard on their new courses and a reminder that course changes are no longer possible for 2019. Please to speak with class teachers and encourage your daughter to attend the many ‘tuition/clubs’ that all learning areas provide our senior students to consolidate, extend, review or support class work. These are of particular importance where a student may be finding concepts challenging. No matter which Year level your child is enrolled in, please do take the time to discuss their report with them, affirm them on achievements and discuss any areas which will become a goal to improve on in the coming semester. We are looking forward to meeting parents at the Parent Teacher Conferences on the 11th April. A reminder that the conferences are located in classrooms for Pre-kindergarten to Year 1 and in the bIBliotech for Years 2 – Year 12. The bIBliotech does continue to be a hive of activity. The Year 11s and 12s have been using their ‘Learning Hub’ space regularly and we love the time they spend in there. Twice a week our Rad Readers join us, where our Junior School students read to the Middle and Senior School students. Robotics is well supported both before and after school and I am constantly amazed by their capabilities! Our Helpdesk has been busy and we thank them for their amazing advice and incredible patience with us all. 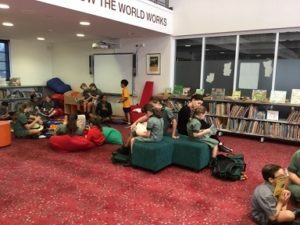 Mrs Bull’s classroom has embraced flexible learning spaces and students from Kindergarten to Year 10 have been enjoying this environment (plus linking into the Units of Inquiry (showcased on SeeSaw) to Individuals and Societies – Economics). Mrs Bull has also been facilitating notetaking and referencing workshops with the Middle School students. 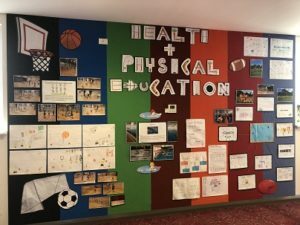 The feature learning area was Health and Physical Education, highlighting the learning cross campus and we are looking forward to celebrating the world on Maths in this space next. 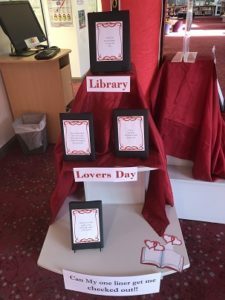 A reminder the bIBliotech’s hours are 8 – 4 pm daily. Thank you to all students and families for a great start to the year and we look forward to Term 2.